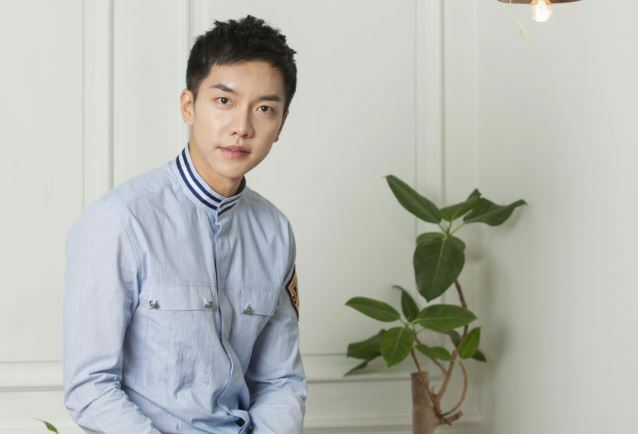 There was a time when Lee Seung-gi was hailed as the “Korean little brother” -- referring to his wholesome, likeable image that was beloved by those across all ages. Now 31, the actor/singer/show host said he wants to be remembered just as an “entertainer,” who approaches various sectors of entertainment in an equally devoted and serious manner. “I like that the nickname has gradually phased out. People all know me now as Lee Seung-gi, and that’s how I like it. A rare entertainer in Korea who does all three (acting, TV shows and music) well,” Lee said, in an interview held in Seoul on Thursday. Since being discharged from his mandatory military service last year, Lee said he has been the busiest since his debuting year. His new film -- “The Princess and the Matchmaker” -- has been cruising in the box office despite mixed reviews and the TV drama “A Korean Odyssey” just wrapped up recently. Lee said he now eyeing a new album. “I dearly wish I can release one (album) this year. I can’t tell when, because I don’t know what I will work on next, but I wish it would be this year,” he said. His musical career has been put on hold since 2016, as the multi-talented celebrity enlisted for his mandatory military service. Lee said his time in the barracks affected him in a positive way. Lee said he has also passed a stage of worrying about what he really is, between singer or actor. He noted that unlike in the past, the stigmatization toward singers taking on acting roles is much less in Korea nowadays. The effort was what impressed his colleagues, especially his co-star Shim Eun-kyung who said she was shocked at his passion. “What baffles me still is how to distribute (my efforts), so I try to give 100 percent all the time...I do a lot of things, including TV shows. I never give excuses like I was busy filming another show, so I guess that may have looked like passion,” he said. Speaking on “The Princess and the Matchmaker,” Lee said he liked the film’s way of hinting at a romance instead of blatantly depicting the love between the two characters. While some of the lines were cheesy, he said he liked the nature of them. “I like cheesy. I think people to some extent want to hear such cheesy lines, because it’s not something that people say in real life. Those lines used in fantasy, romance pieces are cheesy, but I think people dream of them being whispered to them,” he said. In real life? Lee said he is not that much of a romantic guy, but rather a funny guy. Lee’s career in music and TV -- both in acting and comedy -- extends beyond a decade, but he is still a relative newcomer in cinema, having appeared in just two movies. He said he now wants to play the villain in a movie. “My wish is to be a partner (in acting) with established actors like Song Kang-ho. I want to watch and learn. Even when they would tell me off, I want to learn through the process,” he said, indicating that Lee’s hunger for growth as an entertainer is still far from being satiated.